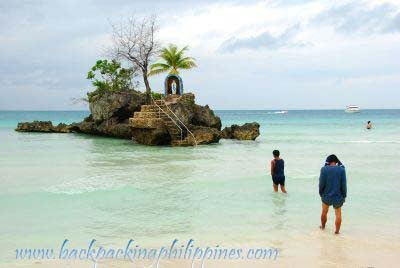 Backpacking Philippines: Recommended Boracay Holy Week Events/Activities? Recommended Boracay Holy Week Events/Activities? Traditionally Holy Week is spent in the provinces to participate in various Holy Week events and activities like Visita Iglesia but recent trends always now point to a beach vacation and the first place that comes to mind is Boracay (some people go to Puerto Galera or any other beach near Metro Manila). Ideally, Holy Week in Boracay should be like this for Catholics but Boracay is actually teeming with "millions" of people spending the long vacation there including showbiz stars and celebrities. Tutubi doesn't like the crowds and prefers off-the-beaten-track destinations. He doesn't see himself going back to Boracay in the near future out of his own pocket. you may also click THIS link to read more unbiased information on Boracay. WOW! Those are really beautifull pictures. They (beaches) would make the perfect office space for me.